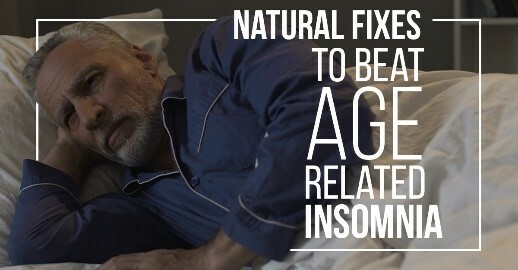 To be able to sleep peacefully at night without any disturbances is quite critical especially for the elderly whose bodies need more time to recuperate from the activities of the day. The quality of sleep, however, declines as people get older, indirectly causing a variety of health problems. It is said that more than 50% of people over the age of 65 have trouble sleeping. Sleep disorders occur when the body undergoes hormonal changes as part of the aging process. It also happens due to certain health conditions that are more commonly and frequently seen in seniors like – acid reflux, sleep apnea and chronic inflammation. An increased need to visit the bathroom during the night too disrupts the possibility of a good night’s rest. Control your exposure to light – When our body is exposed to light, it is programmed to act in a certain way. For instance, when we go out in broad daylight, our system is designed to stop producing a hormone called melatonin that induces sleep. Conversely, the production of this hormone gets triggered when the body perceives a reduction in the amount of light for an extended period. To make sure your body starts preparing to go to bed on time, try switching off or at least dimming your bedroom lights an hour or so before you plan to go to bed. Squeeze in your exercise routine 4 hours before your bedtime – Exercising is good for the body, but it also leads to the production of adrenaline in your body which tends to make you alert and awake. Exercise also increases the body temperature that could make it difficult for you to fall asleep later. So, it is advisable to exercise at least 4 hours before you intend to sleep. Tune your body so it understands a sleep schedule – Going to bed at a fixed hour every night and waking up at a fixed hour every morning can help your body get tuned to a sleep schedule. Keeping a strict sleep schedule helps form a habit that allows the body to rest sufficiently. Breathe in lavender oil before going to bed – A study conducted in 2016 showed that breathing in lavender oil before going to bed can improve the quality of sleep especially in middle-aged women and those suffering from heart-related ailments. Chamomile tea for a great snooze – Chamomile Tea has been lauded for its sleep-inducing effects for centuries. There has been some research that indicates that chamomile is effective in boosting the quality of sleep and reducing the incidents of sleep deprivation related depression. If you have been experiencing problems falling asleep at night and end up waking up feeling like you never went to bed at all, then give the above remedies a shot. They might be able to help you get those blessed hours of deep slumber that you and your body have been yearning for!